Mango milkshake recipe is one of my favorite summer drink. 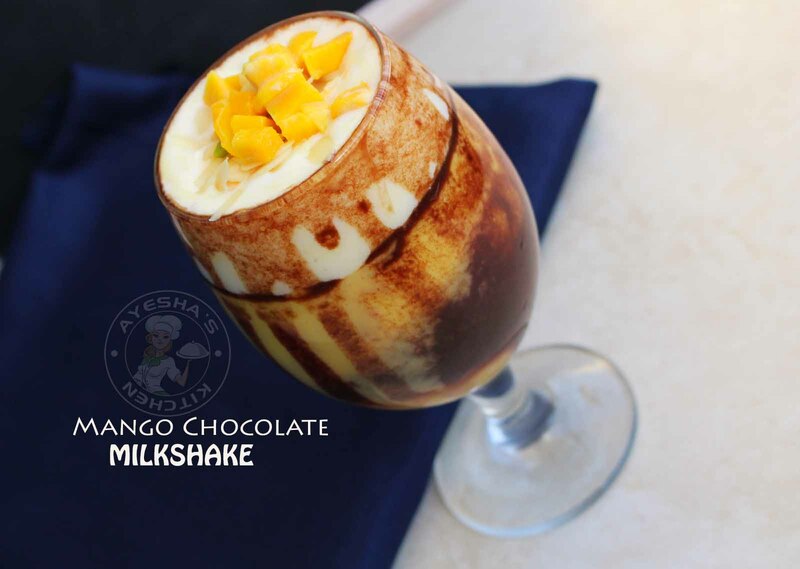 A filling and cooling milkshake recipe during the mango season. This refreshing shake recipe can be made in different versions and can be served in numerous ways. This time i made a chocolate mango milkshake than can quench your thirst and can satisfy all chocolate lovers too. Ice cream is really optional in any milkshake recipes. But adding a scoop of ice cream to your milkshake makes it more rich and special. As mango is a versatile fruit, mango drinks are favorite for most of us especially for kids. 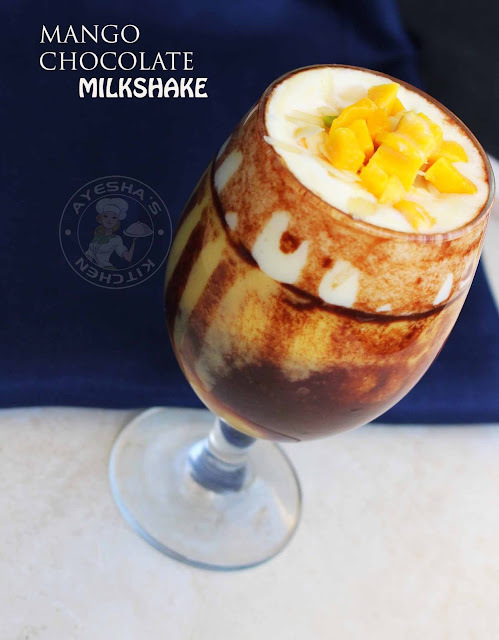 This recipe for mango milkshake with chocolate is kids favorite. 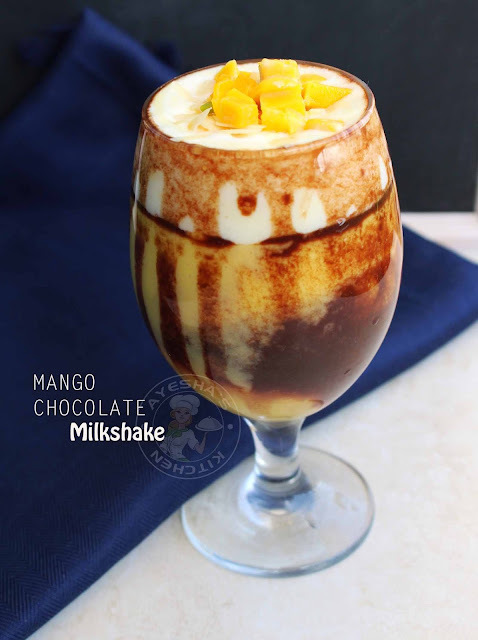 I have used badami mangoes for making this milkshake recipe. You can choose any variety of mangoes like sindhoor, kesar, alphonso and like so. It is very important to note that no water or ice cubes are added while making milk shakes recipes. So lets see how to make mango milkshake recipe with chocolate / mango chocolate milkshake / milkshake recipes / mango recipes. Peel the mangoes and chop them. Reserve two tablespoons for topping finally. Add rest of the mango pieces into a blender along with milk and sugar. Blend them until smooth. Melt chocolate using double boiling method. Or (can add chocolate into a piping bag and dip this bag with closed end in hot water. Once done, cut the tip and then use). Spread a teaspoon of melted chocolate around the serving glass. (for the best result, you have to freeze this cup until u make the milkshake. but i used instantly as i have guests). Drop a teaspoon of melted chocolate as the base and then pour the prepared milkshake into the serving cups up to 3/4 of the cup and then add a scoop of ice cream (optional), finally top it with mango chunks.